Providing you the best range of cpc food waste based bio gas plant, cpc bio gas plant from kitchen waste and cpc bio-manure plant with effective & timely delivery. 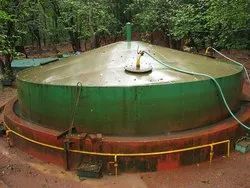 Bio-Methanation process of organic waste such as food waste, kitchen waste, cow dung & sludge from Sewage treatment plant and generating bio-gas. Ideal for 50 kg and above organic waste disposing capacities. Digester type- FRP based, Civil based. Suitable for big intuitions and canteens, hotels. 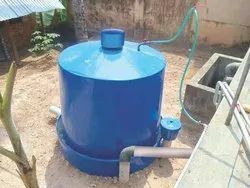 Portable bio digester for industrial and domestic usage.